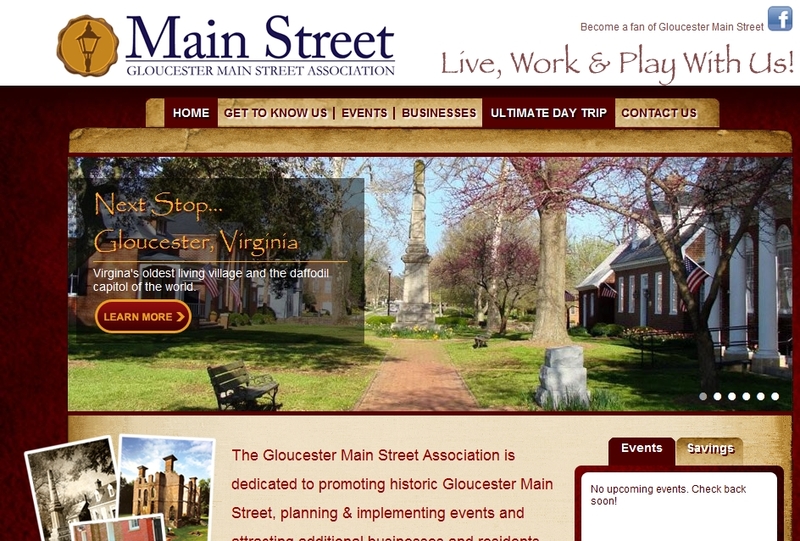 Screen shot from the Gloucester Main Street Association site. Click to enlarge image. If you take a look at the screen shot above, you will see a picture from the Gloucester Main Street Association's Home page of their website. If you look at the header picture you will notice that the Gloucester Main Street Association claims that Gloucester, Virginia is the Daffodil capital of the world. This is not true and if you go in for more information, it takes you to a page that does not contain any historical information at all. You have to look for the historical information page from the page it takes you to. Strike two. Once on the historical page, when you get to the bottom of the page, the story changes to Daffodil capital of the United States. This part is true. But why lie to everyone on this point? Well I guess someone challenged it as they no longer make that claim. Now I challenge the claim that Gloucester is Virginia's oldest living village. Hampton, Virginia already celebrated it's 400th birthday a few short years ago and I was there to record that event. Jamestown celebrated it's 400th anniversary back in 2007. Gloucester, Virginia is only 361 years old. It's Virginia's oldest living village how? Beats out Yorktown, Virginia how? What about Portsmouth? Surry? Charles City? How can anyone expect to attract new business to an area when a self appointed local non profit concern starts out by lying to everyone? That makes no sense. From their website. "In 1990, Gloucester County had become one of the nation’s fastest growing counties with a population of 33,000. National chains began to replace local businesses along Route 17, new residential developments were built, and the Walter Reed hospital expanded." Really? One of the nation's fastest growing counties? Not on the list. CLICK HERE for the list of the fastest growing counties in the USA during that time period. Yorktown made the list, but Gloucester didn't. Yet another complete fabrication? An outright lie? Some of the directors for the Gloucester Main Street Association are also high ranking Gloucester County, Virginia employees. Guess we are not surprised then by the lies on their site. Don't get me wrong, I would love to see more businesses come to main street especially not chain store types. I would love to see more businesses come to Gloucester overall. But you can't try and start a business relationship based on numerous lies and the complete fabrication of information. It's just sickening. MP3 Free Music Download. Piccadilly - The House of The Old Boat. Click Here for your free song. Nice modern beat pop music.